I’m running a bit late, so I posted the studio recordings first! This week we have a track from each contestant, which is the second song they performed in the finale, chosen by Idol creater Simon Fuller. I have two album art choices, so pick your favourite! Mediafire is down, so we’ll have to settle with Evilshare! ETA: Winner’s singles added! “No Boundaries” is the coronation song for this year’s winner, co-written by Kara DioGuardi. I hate myself for saying this, but the coronation song is really growing on me. I love Adam’s take on the song, he actually sounds really good here. It’s great that the essential Adam essence is not missing in the song. However, Kris totally owns the song. His version of the single is incredibly radio friendly, I can actually see it doing well on the charts. It’s a hit in the making. Congratulations to Kris Allen! He really deserved it. A tribute to the amazing Adam Lambert and the winner himself, Kris Allen. Whatever you want to name them, they’re the final 2, and they both deserve to be there. Adam Lambert, 27 (can you believe that??) and Kris Allen, 23, are the finalists for Season 8 of American Idol. In this -MDOC- special annual post, we’ll take you back to get a glimpse of their journey on American Idol. Firstly, the auditions. Adam Lambert auditioned in San Francisco. He walked into the room already looking like a star (with less mascara). Adam sang Queen’s “Bohemian Rhapsody”, but it was too theatrical. The judges weren’t too keen on Adam, but he was already garnering a strong following along the way. We first saw (or rather, a little peep) Kris Allen in Louisville, where he sang “A Song For You”. We soon forgot Kris after 5 seconds. Of course, both made it through to Hollywood. Hollywood Round was next! Kris Allen appeared alongside best buddy Matt Giraud in the group rounds, where they formed a group with two others and dubbed themselves as “White Chocolate”. Their performance of “I Want You Back” was easily the best performance of the day. Adam Lambert joined forces with fellow top 36 contenders Matt Breitzke and Jesse Langseth, and they performed “Some Kind of Wonderful”. It was good, but wasn’t really that memorable. The contestants then had to perform individually on Day 4. Adam Lambert didn’t really pull off his rendition of Cher’s “Believe”. At least he was shown, Kris Allen was no where to be seen. Both of them made it to the top 36. Even though he wasn’t really shown much, Kris gets a point for excelling in White Chocolate. Time for the top 13! It was Michael Jackson Week. Kris Allen performed “Remember The Time”, while jamming it out on his guitar. His guitar didn’t really suited the song, but it definitely helped him to form an image of who Kris Allen was. Adam Lambert did “Black and White” and was given the title of best performance of the night. It was expected, since the whole theme was very theatrical anyways. Adam wins. Top 11! Country Week. 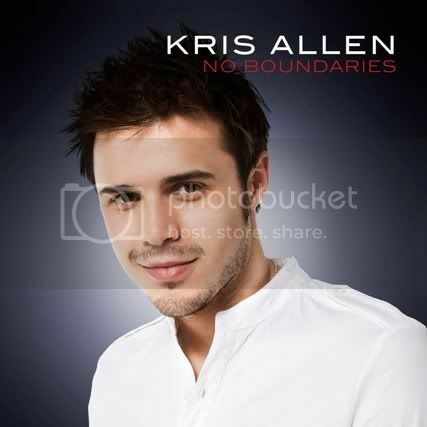 Kris Allen was really smooth with his heartwarming performance of “To Make You Feel My Love”. Judges all loved it, Simon even hinted that Kris could win this (how right you are, Simon). And to the most infamous performance of the season, Adam Lambert‘s “Ring of Fire”. He was touching himself all over. Ummm, what? No one knew what to do, what to say, what to comment. Flabbergasted, hypnotized, starstruck, cat got our tongues? In the end, Simon made it clear for us: either you love it, or hate it. While Adam fans may love (or pretend to) it, the rest of us despised it. The Idols tackled Motown in the top 10. Kris Allen gave a forgettable rendition of “How Sweet It Is”, accompanied by his friend, the guitar. As usual, his guitar didn’t really help much. It was a clumsy performance. Judges didn’t like it. Adam Lambert was out to rule the world. This was the week where all the spotlights were on Adam, as he crooned “The Tracks of My Tears” in a classical suit and his hair slicked back. Girls were screaming, fans were voting. Adam was now the frontrunner of the competition, off to face Danny Gokey in the finals. The top 8 was next with the songs from the year they were born. Kris Allen tried to emulate Matt Giraud by singing in the mosh pit, but got the same bad reviews as well. Kris performed “All She Wants to Do Is Dance”, and was forgotten by the end of the night. His pulled out his guitar, and once again, it wasn’t useful at all, as he got drone out by all the music. Adam Lambert gave the best performance of the night, and probably the most talked about one of the whole season. He did “Mad World” superbly, with the dim lights and minimal music in the background. It was all about his power vocals, and he pulled it off amazingly. It was very haunting and eerie. Simon announced that Adam was going to win. And at this point of the game, we all believed that as well. Top 7 Week, Songs from the Movies, was basically a trainwreck. Almost everyone gave sub-par performances, none outshining the other, it was all a snoozefest. Adam Lambert screamed another one, this time it was “Born To Be Wild”. It was getting kind of old. Next! Kris Allen gave one of his top performaces of the season, “Falling Slowly”. His vocals were very controlled, he did everything splendidly. Initially, I didn’t connect with his performance at all, but I can now say that it was one of his best. Disco Week was slotted in at the last minute for the theme for the top 7, since Matt Giraud was (deservingly) saved. Of course, being disco week, everyone was expecting Adam Lambert to have the upper hand and pull off another performance full of screaming and cheesy dance moves. But he surprised us once again, this time doing a slow march of “If I Can’t Have You”, portraying perfect emotion, which reduced Paula to tears. We all now know that this guy can do practically anything. Kris Allen caused heads to turn by shopping in the women’s department and giving an acoustic version of “She Works Hard For Money”. It was fresh, current and great. Of course, it had absolutely nothing to do with the theme. But do we or the judges care? No. Kara was all about her artistry crap as usual, but this we can agree on: Kris was starting to define himself as an acoustic/guitar/pop/soul artist. And we really liked that. Rock Week was the theme for the top 4, perfectly suited for Adam Lambert. He was the first contestant in Idol history to perform a Led Zeppelin song. Adam performed “Whole Lotta Love” exactly as any other rock star would have. Props all around. He was really comfortable on the stage. Later, he received the pimped spot once again, duetting with Allison Iraheta, who was eliminated on the same week. The duo pulled off an amazing performance of “Slow Ride”, and was easily the best performance of the night. It was so full of energy you could feed off it while watching. Kris Allen didn’t gave up, albeit his pissed off face, he managed to survive another week by performing “Come Together”, and later, “Renegade” with Danny Gokey. Both performances weren’t that good, they were only average. Rock is not doing good for Allen. No no. They’re neck in neck! So who will win? Let’s give an extra point so that a winner will be chosen! Adam Lambert came into the show with loads of coverage, and was pimped throughout the show, gave outstanding performances week after week, hit insane and extremely high notes, getting rave reviews from the judges and the media, dubbed as a frontrunner, being a revolution and inspiration for being a gay contestant, garnering huge fans since the beginning, has good looks, and even appearing on a magazine cover. Kris Allen on the other hand, came into the show with almost ZERO coverage and pimping, was dubbed as a cannon folder, constantly being called the underdog, constantly being underrated, picked up a massive following along the way, has good looks, can play instruments, is current, relevant, was only in the bottom 3 once and still managed to land in the finals. From my point of view, Kris definitely worked really hard to get to the end. Kris is gaining momentum and picking up steam now, his fire isn’t about to go out anytime soon. I feel that Adam has peaked too soon and is now starting to be overshadowed. Maybe people are getting tired of Adam. But one thing is for sure, Kris has a shot at winning this. Note that last week, the top 2 was separated by a mere ONE MILLION VOTES. That is not a huge margin! If it was Adam who was leading Kris by a million votes, that means that Kris is sneaking up on Adam and can easily win it all. If it was Kris who was leading the pack, that means that Kris is already on his way to the win. Besides, Kris will be getting most of the votes from Danny’s fans, since the latter was eliminated last week. And Danny’s fanbase is HUGE, so that will help boost the numbers. Therefore, unless Adam produces another heart-stopping performance tomorrow, I am fairly confident that Kris has this in the bag. This is probably the closest finale ever. We say that every year, don’t we? Hehe. I don’t know about you guys, but I’m ready for the underdog to sweep the crown under the frontrunner and take it all. VOTE FOR KRIS ALLEN. KRIS ALLEN FOR THE WIN! I hereby announce Kris Allen as the winner of American Idol 2009. What do you think? Who will win it all? Please leave comments! Congratulations to Kris Allen and Adam Lambert for making it to the top 2! They both really deserved it. The contestants got to perform two songs this week: one chosen by the judges and another picked by themselves. Idol is being good this year by giving us BOTH the studio recordings, usually it’s only one per week per contestant. Sweet. Kris’ acoustic version of “Heartless” is easily the best track of the bunch. It’s so nice to the ears that you can hit replay without getting tired of it. “Apologize” isn’t bad either, it’s tons better than his live performance. 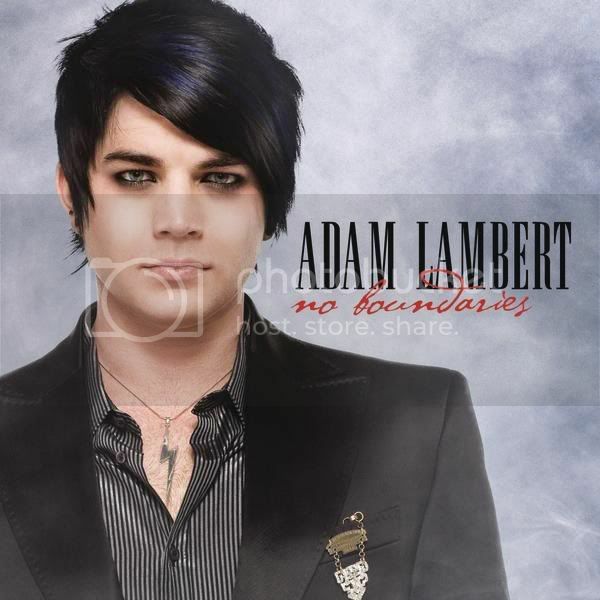 Adam has decent tracks too, “One” is really smooth and inspirational. Danny’s voice is incredibly hoarse on “You Are So Beautiful”, it’s painful to hear some of the notes, but overall it’s a good track. A tribute to Danny Okey Gokey.